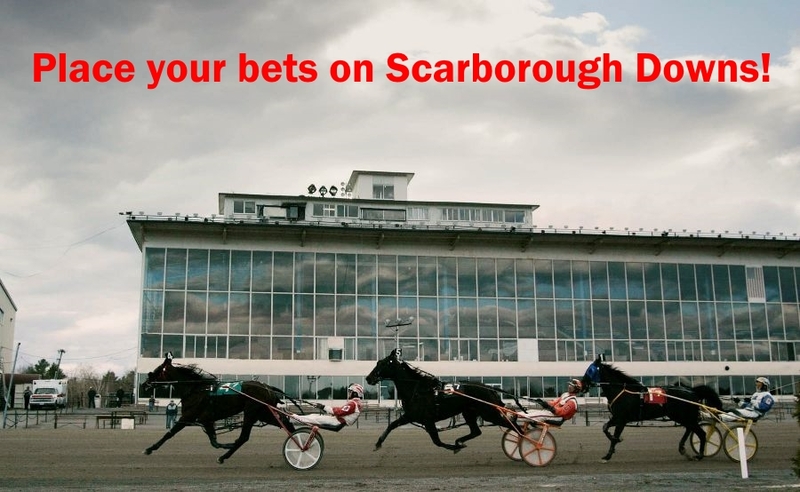 The biggest bet ever placed at Scarborough Downs… and it’s our tax dollars! | Look Out Scarborough! 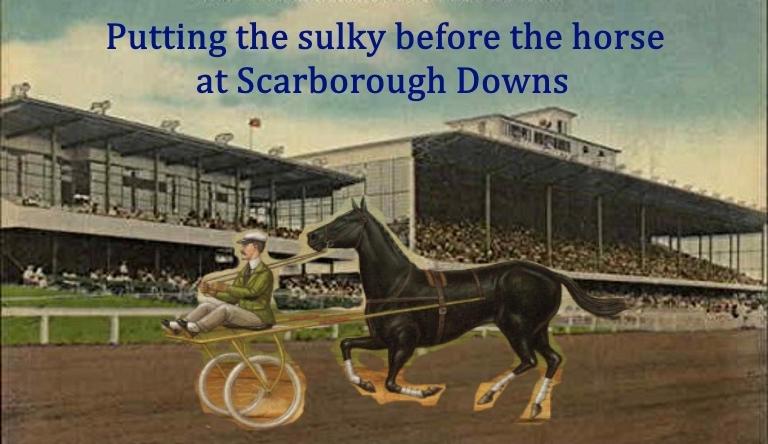 The biggest bet ever placed at Scarborough Downs… and it’s our tax dollars! Well, that’s an easy one: absolutely nothing. Lips are sealed all around about what the project really will include. There’s still no information about how many single family homes and apartment units will be built. And what that will mean for increased population, increased school enrollment and increased traffic. All we know is that those things are all going to increase a lot. That’s not very comforting. 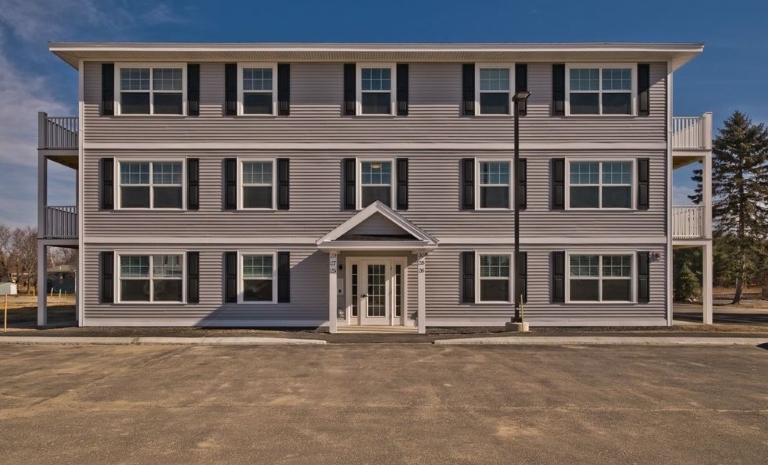 Here’s an example of a recent Risbara multi-family project (i.e., apartments) in Westbrook. It has the idyllic name “Blue Spruce Farm Apartments” (link here). How many great box-like apartment buildings will be sprouting up at Scarborough Downs? And where are all the people coming from to fill these apartments? You may have noticed lots of new apartment construction in Scarborough, Westbrook, SoPo, Falmouth and Portland during the last 12-18 months. That fact, coupled with projections for very modest long-term population growth in Scarborough, should be a cause for concern. Are town leaders familiar with the phrase “boom and bust cycle?” Have they reconciled current and planned area-wide apartment construction with population projections? If they have, we hope they’ll share that information with those of us who have limited fathoming ability. So we don’t know what the project looks like or what its impact will be, but we’re willing to kick in a hefty chunk of future town tax revenues over the next 30 years — $150 million or more apparently — to help pay for this undefined project. The largest financial commitment the town has ever made. And then a seven-person Town Council is going to use their judgment to decide whether this is a “good deal” or not for the town. Sorry, but we want the details! Is that too much to ask? And then we want the voters to decide if this is in the best interests of the town. The voters should have the final say on any TIF/CEA, not the Council. As we mentioned in our last issue, the town’s and developer’s big selling point for the TIF/CEA is that Scarborough will finally get its much-longed-for downtown or town center. We’re not certain exactly who has been pining for this downtown, or why. Is it a Disney thing? Or a nostalgia thing? Will there be a 5 & 10? 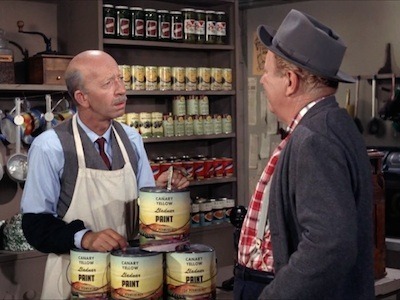 A general store, perhaps with Sam Drucker and Uncle Joe playing checkers in the back? And we’re not sure of the purpose of this downtown. Is it to provide a place for neighborly interaction? If so, isn’t that what now happens at the post office, Memorial Park, Hannaford or Shaw’s, the hardware store, the Big 20 and Ken’s? Do all those facilities have to be within walking distance for it to count? Is it reasonable to think that a supermarket, a post office, a bowling alley and a range of restaurants are all going to be within walking distance in any town, let alone one that has 20,000 residents and covers about 70 square miles? That’s one of the first things you see when you go to the town website. Frankly, we’re not sure if that’s something to boast about or be concerned about. Up until very recently, there seemed to be a moderate concern for limiting the town’s growth in a manner that would be steady and measured. This approach would prevent sudden significant demands on school and municipal budgets. It would also keep quality of life issues – like traffic – from getting out of hand. 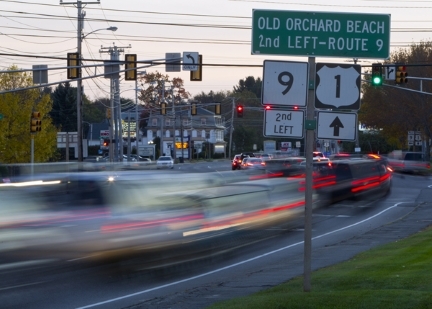 In fact, until the Scarborough Downs project came up, the town had a fairly rigorous “Growth Ordinance” that had its origin in the 2006 Comprehensive Plan. The ordinance was designed to keep housing growth at a manageable level. Whatever happened to that growth ordinance? And, if the town is already growing at a fairly rapid clip, why the heck are we incentivizing a developer to provide even faster growth? Think about that very basic question for a moment. Real Scarborough old-timers (who remember, for instance, when Len Libby’s was on Spurwink Road) may get a scary sense of déjà vu when hearing about the currently proposed TIF. Why? Well, back in the mid-1980s voters twice rejected construction of a new town hall (aka “The Town Mahal”), only to have a new town hall constructed in spite of their rejections. How did that happen, you may well ask? Believe it or not, the new town hall was funded through a “Town Center TIF,” which, of course, the voters had no say on. So history is currently slated to repeat itself if Tom Hall and Bill Donovan have their ways. This time, though, it will be a new community center instead of a town hall that gets built with a TIF in spite of what town residents may think. Everything old is new again! By the way, many of those old-timers will also tell you that the town’s storied tradition of having Town Councils that ignore what the residents want began with those town hall TIF shenanigans in the 80s. And the lack of transparency and unwillingness to consider the desires of the residents continue to feed the beast of public unrest even today. 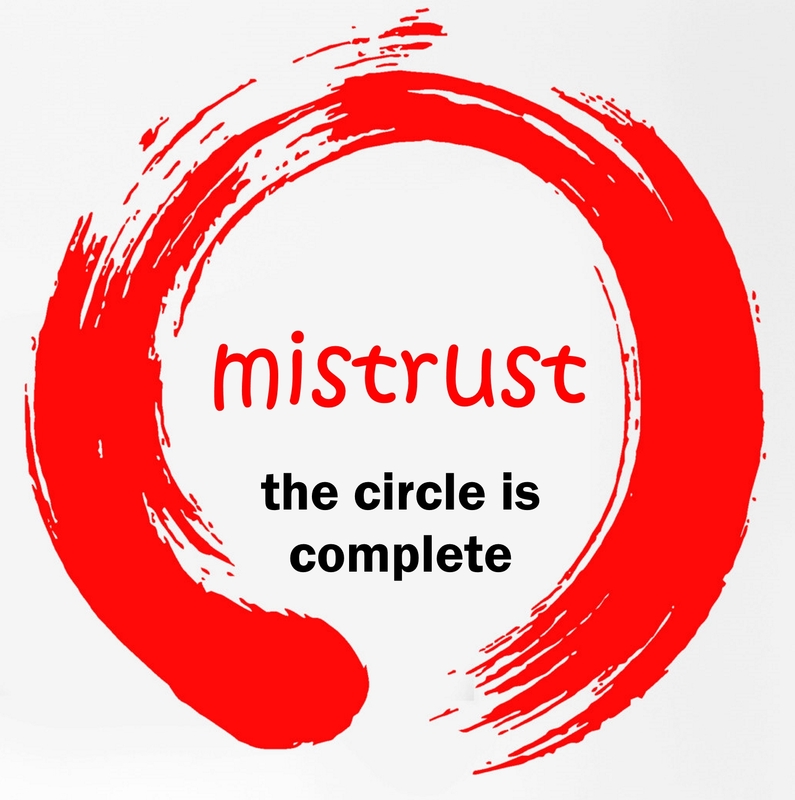 The establishment of a new “Downtown TIF” in the waning days of this Council would secure their legacy in town history as the group that completed the Circle of Mistrust. 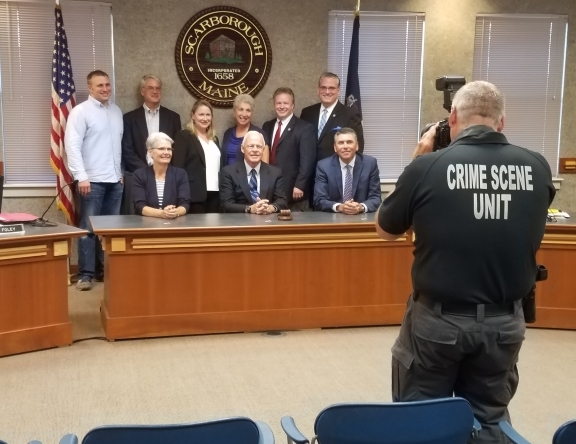 On a positive note, voters will actually have a chance to make their feelings known about three of the current Council members in the November election. Councilor Rowan is running for reelection to the Council, and Councilors Babine and Caiazzo are running for State representative seats. This presents a golden opportunity for folks to express their dismay with the we-know-better attitude of several of the Council members. It’s Scarborough’s future… let the voters decide! 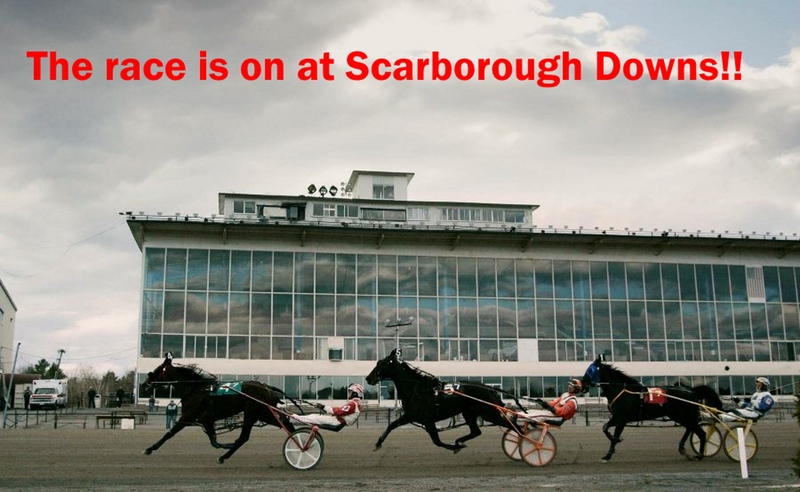 Here’s the bottom line: Whatever happens at Scarborough Downs has the clear potential to radically alter Scarborough as we know it. And the financial implications of the town being a “partner” or “investor” in the development are completely unknown at this point. To the extent that great gobs of future tax dollars ($150 million or more) are siphoned off for development/infrastructure purposes, this has the very real prospect of putting extreme pressure on the school and municipal budgets… for which all taxpayers will end up paying the price. Is it too much to ask for the town’s residents to have a clear understanding of what all this means, both in terms of finances and quality of life? And once the town has negotiated its best deal with the developers for a TIF/CEA, shouldn’t the residents have a chance to vote on it… like we did on the new fire engine and the new public safety building? Please, Town Council, let the citizens have a direct voice in deciding the most important question the town has faced in decades. Well, that’s all for now, folks. More drama is certain to come. We’ll do our best to follow the twists and turns. In the meantime, don’t be bashful about spreading the word and letting the Council know how you feel. Silence to them equals approval. So make a God-awful racket! Happy trails until we meet again, pardner! This entry was posted in Uncategorized on September 14, 2018 by Site Author.